How to go to Akyaka? What to eat in Akyaka? Where to go in Akyaka? What to do in Akyaka? What to buy in Akyaka? almost doubles. It's delightful position at the end of the Gökova gulf, bordered in the north by the almost 1000m high Sakartepe, in the south by the wetlands of the Gökova plain ("heaven's plain") with it's multitude of species, particularly water birds, takes the visitor into it's spell. Being a settlement even in antique times - there are plenty, though not very important remains- the village of Akyaka lead an existence as a fishing village, off the roads, with a little of agriculture. In the 1970's Akyaka was "discovered ". A meager tourism developed, consisting mainly of locals and some "refugees" of the big Cities, seeking unspoiled nature and the refreshening summer climate with a constantly blowing seabreeze. Slowly Akyaka developed into a summer residence for wealthy holiday guests from Istanbul, Ankara and Izmir. The tourist boom, beginning in Turkey in the 80's and persisting until today, did not ignore Akyaka. Still most of Akyaka's visitors being turkish, the number of european tourists is increasing. 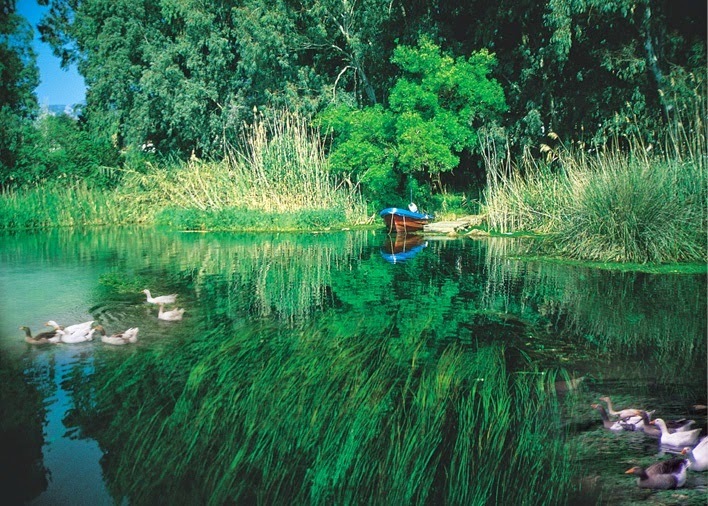 The main attraction for most of the visitors is the natural beauty of Akyaka, with a multitude of species in the wetlands, among those the nearly extincted European Fishotter(lutra lutra), during the wintermonths different types of herons, flamingos, even migrating pelicans can be observed with some luck. Since some years paragliding from the height of the Sakartepe, the "local mountain" of Akyaka, down to the plain became quite fashionable. The launch site is sufficient, but not easy for beginners. The fish restaurants on the bank of the crystalclear " Kadın Azmak"('Woman river`) where freshly caught fish is perfectly prepared and served, are very well known by gourmets throughout Turkey.